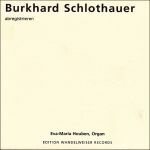 Contemporary Music Night #28 – Wandelweiser # 6. The Twenty-eight two-weekly Contemporary Music Night on Concertzender with tonight the sixth of an about TwentyFive episode series with all the published records of the Edition Wandelweiser label in chronological order from 1996 till now. 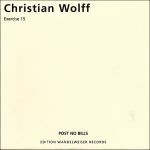 Post No Bills: Chris Weinheimer: bassflute. Ole Schmidt: bassclarinet. Carl Ludwig Hübsch: tuba. 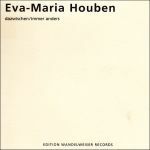 Robert Schleisiek: piano. Tom Lorenz: vibraphone. 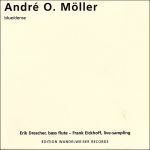 Erik Drescher: bassflute. Frank Eickhoff: live sampling. Jongah Yoon: piano. 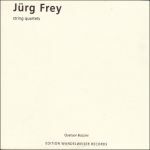 Jürg Frey: bassclarinet. Antoine Beuger: flute. 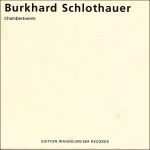 Burkhard Schlothauer: clarinet. Craig Shepard: trombone.